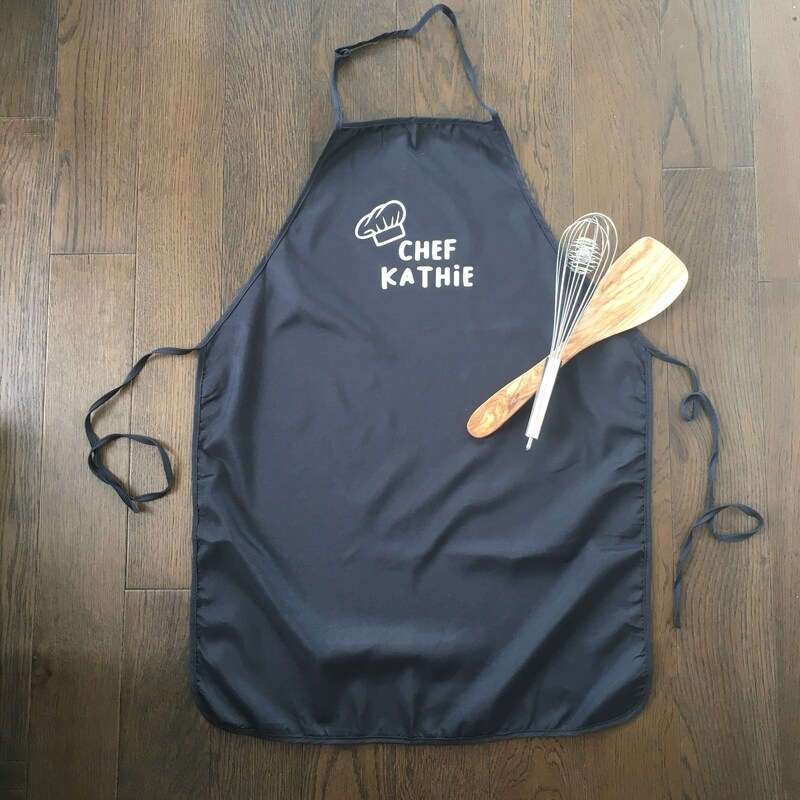 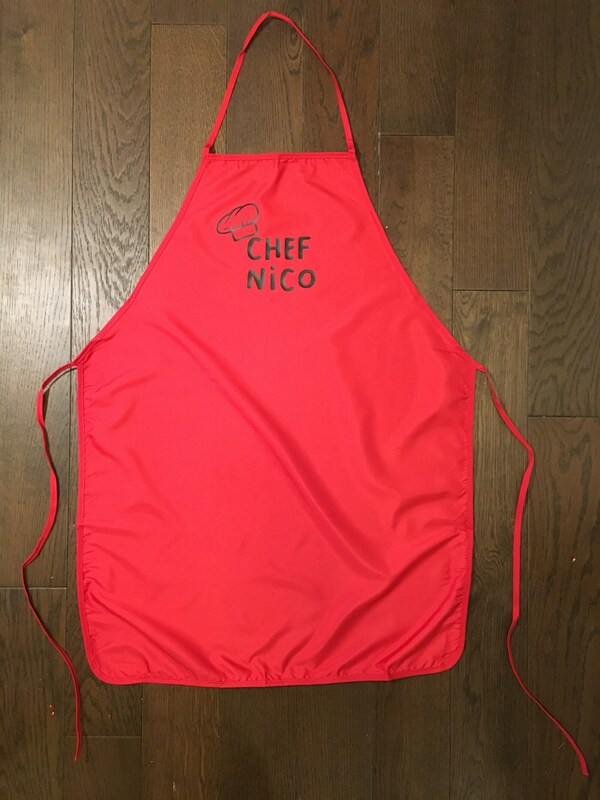 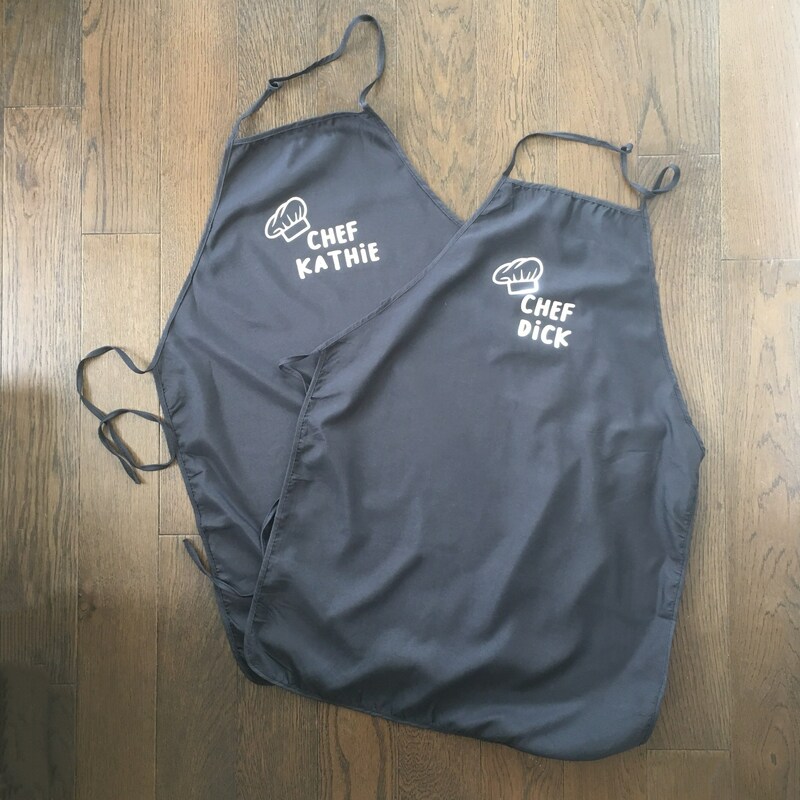 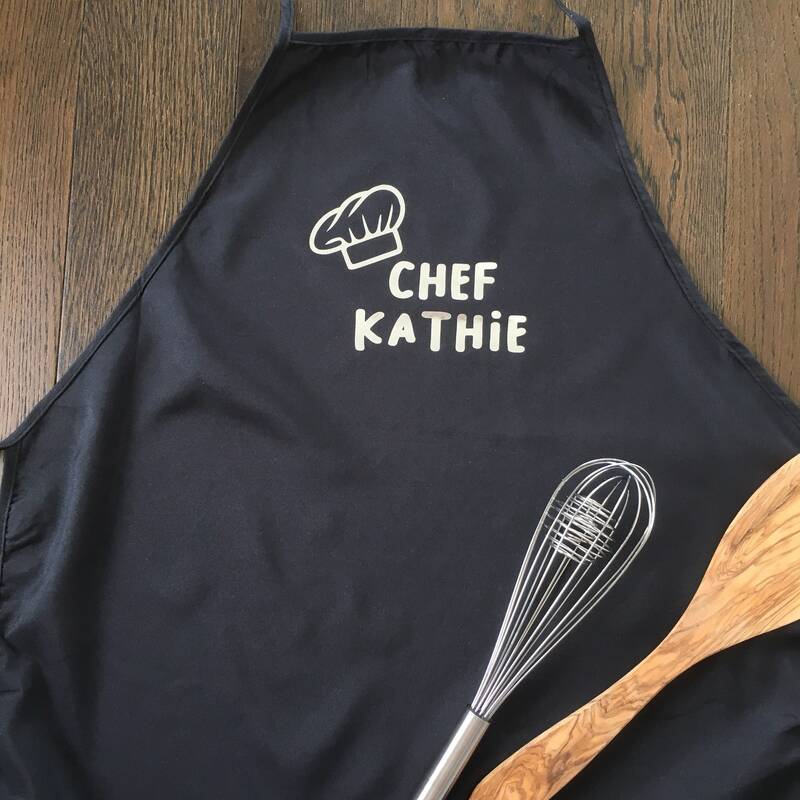 Customized kids chefs apron. 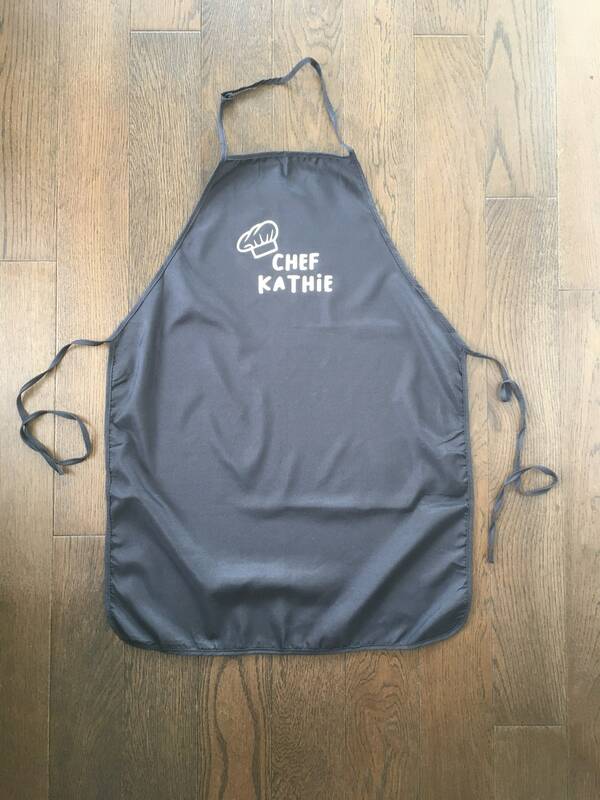 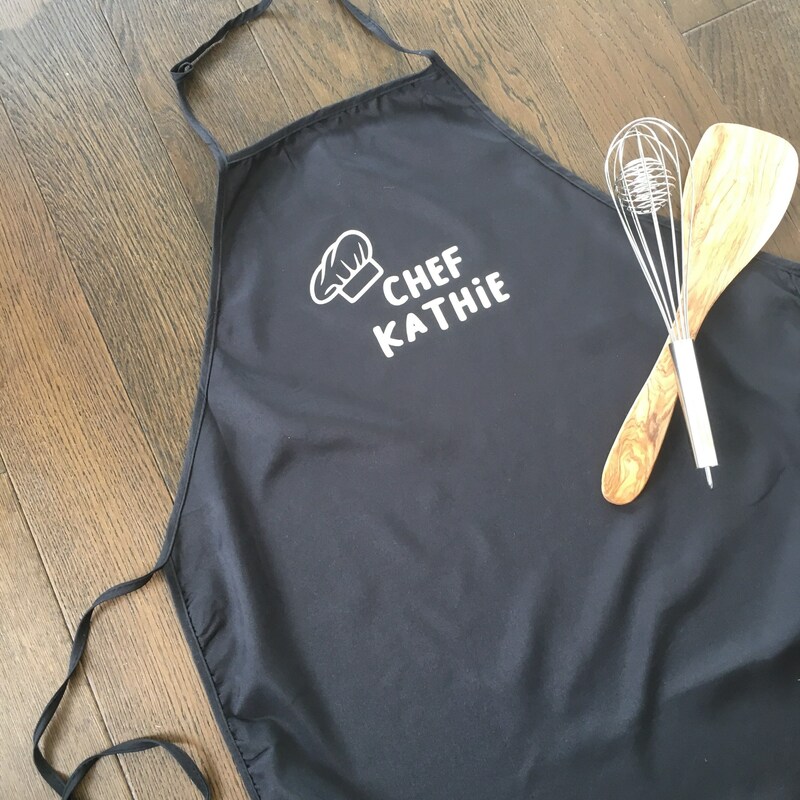 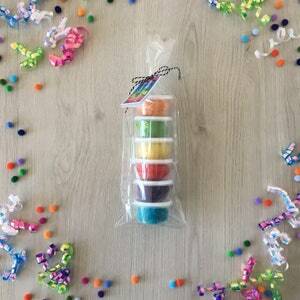 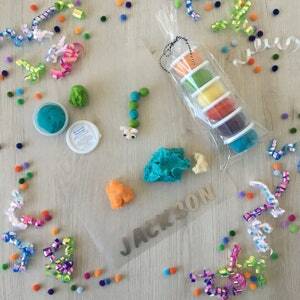 Perfect for your little chef! 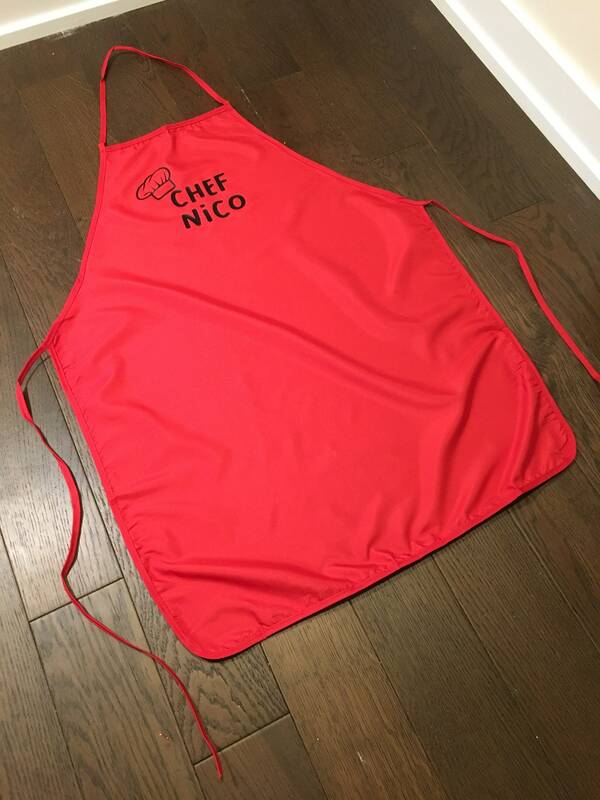 Apron come in black or red. 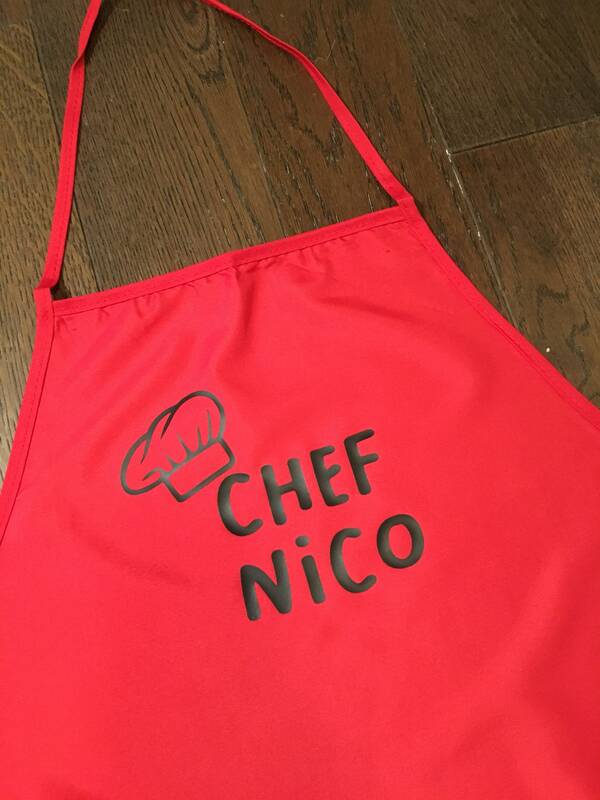 Apron is 100% polyester and —" long. Hand wash recommended in cold water. 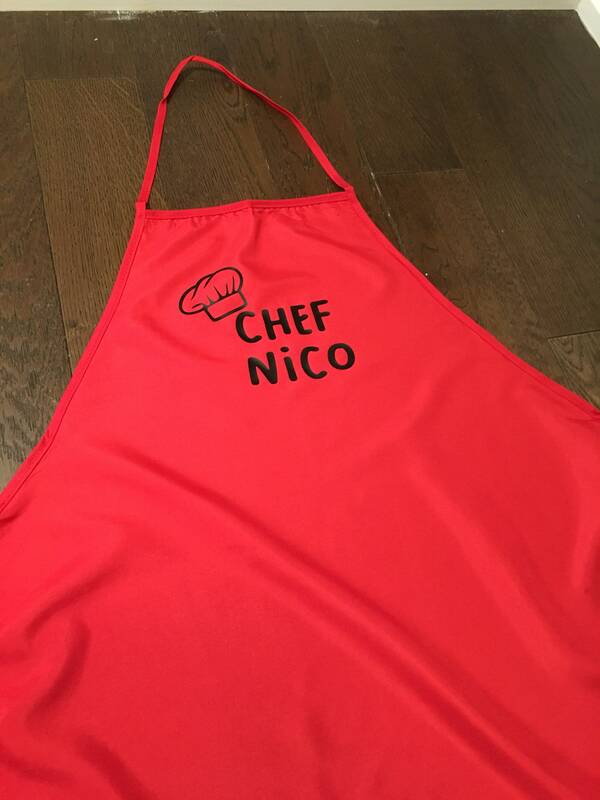 Not recommended for children under 6, please help your little one tie the apron on with adult supervision.